Cover Photo: Bipes are beautiful! Miss Noreen Pankow agrees as she holds Jerry Nelson's Pitts Special. The new design soon will appear as a kit. Photographer - Jacque Mittendorf. Transparency courtesy of Midwest Products Co., Hobart, Ind. 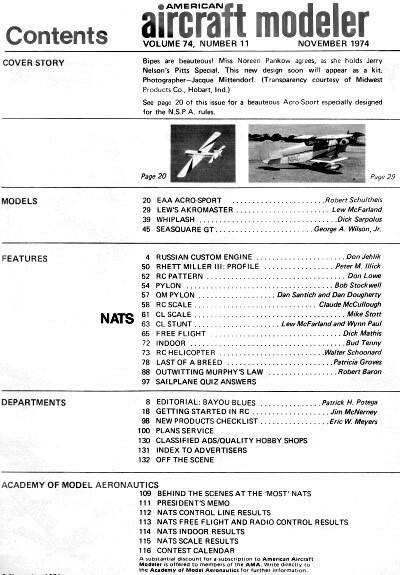 See page 20 of this issue for a beauteous Acro Sport especially designed for the N.S.P.A. rules.